Is There a Way For WASD to Be A Control Option? WASD was really easy to add, so it's in. Thanks Radical Raptr! Added WASD keys as directional movement; arrows can still be used and there's no settings to change, so go ahead and use a combination of both if you like. I recommend if you're using WASD to go into options and make sure running is toggled instead of having to hold the 'Z' key. The tree of life now has enough power to restore one more Pokemon. Just check out the trunk after getting your partner; make sure you've got the item or lack of items already prepared because there's only 1 chance and no backing out. The item/partner pool is the more expansive one that Celebi uses. A note: some of my files are corrupted, so I had to guess at fixing them. There was a sheet with items on it and I wasn't able to figure out what one of them was...so there maybe be an invisible item where something used to be (I didn't move any items in the game, so the event would still be there, just no graphic). Hej there! First of all, thanks for this awesome game! I really enjoyed playing it and the details in the story are pretty neat. In this bug you can see Mew standing inside the outer walls of the antagonists hq. This field and the very right to it are directly accessible from all adjacent "legal" fields (see arrows in the corr. picture). There's no influence on the gameplay. In this bug you can see Mew standing inside the vending-machine-thingy in the antagonists hq. It occurs to all machines in the hq. This is only possible after collecting the hidden items in the vending-machine-thingy-fields for each of these fields separately and immediately. The fields are accessible from all adjacent "legal" fields (see arrows in the corr. picture). There is influence on the gameplay. It enables to avoid being spotted by one guard very easily. In this bug you can see Mew standing inside a beveled edge of the antagonists hq. It's not possible in all of them, but a few at least. This is no real bug, but the overlapping sprites look a little unfavourable. 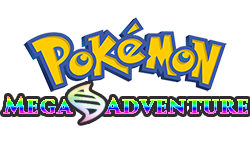 Maybe you want to switch the Pokémon. In this bug you can see Mew standing inside the inner walls of the antagonists hq. This field and the very lower to it are directly accessible from all adjacent "legal" fields (see arrows in the corr. picture). This field and the very two lower to it are directly accessible from all adjacent "legal" fields (see arrows in the corr. picture). But here it's possible to walk one further step up. In this bug there're invisible walls in front of each Mew. Another bug happened to appear, but I forgot to capture it. After the second encounter with Celebi inside the antagonists hq, it just stays above Mew. It even follows while walking/ running. But moving up causes the ghost-Celebi to disappear. And here's a bundle with bigger pictures and the same bug-description. Thanks again for this great game! I forgot to mention: WASD control is limited. Whenever there's a menu like in the "market" the W-command causes the cursor to jump to the lowest possible choice, mainly sth like "exit". Even though the cursor is already at the lowest position. Is there anything to happen after the fight against Mewtwo? All I get is the titlescreen and (after starting the game again) the credits. As for the question, the answer is nope! There's nothing there. MewYou is made with RPGMaker, which doesn't work for mobile devices. This guide for Legends of the Arena works on almost all RPGMaker games for macs. Just beat the game honestly was so fun to play, there is a tile glitch in the office were celibi takes you back to the past. Overall great game thanks! Whenever I load up the game all of the textboxes are empty and I can't see any dialogue :/ how do i fix this? I really loved this game! It was so fun, me being the mirage Pokemon, Mew, in the game! I enjoyed all of the game, though the difficulty of the Wild Pokemon battles greatly increased in the underwater sections, but somehow, I beat Mewtwo on my first try with little effort. I just used Transform, and then spammed Shadow Ball until he went down. It still was cool, the game leading up to the Mewtwo battle, which reminded me of the similar battle they had in Mewtwo Strikes Back! This game looks really fun and cute! I've only played past about 2 towns so far and I can't wait to continue. I found this game through a youtuber so I decided to make a video on it myself! I'm really excited about the fossils and to see why you can collect them! Great game really cute and fun! When a mightyena uses swagger an error pops up, I can keep playing but after a minute, before the battle is over my game completely freezes. I am on a mac and using wineskin to play the .exe file but it only happens when it uses swagger. Edit: I killed it before it used swagger I should have tried this first. I love this game!!!! Does the download link just not work, or...? The link still seems to be up on my end. 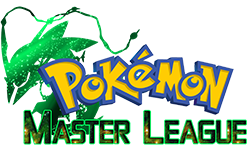 This is a realy great game I enjoy those kind of games where you play as a pokemon instead of a trainer, It is realy realy fantastic!! !